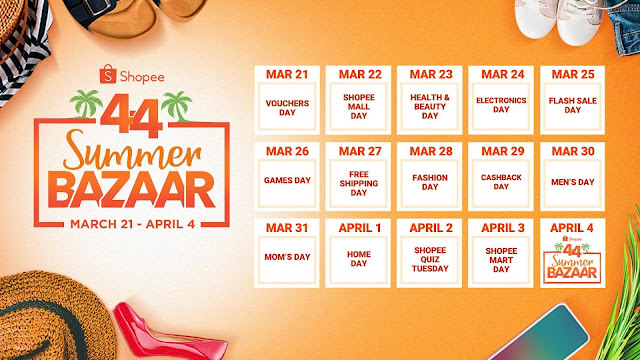 Shopee kicks off the Summer season with Shopee 4.4 Summer Bazaar from March 21 to April 4. Shopee will fuel the Summer excitement with special contests and activities lined up across Shopee platforms, offering huge prizes including four free round-trip tickets to El Nido and ₱100,000 in cash. 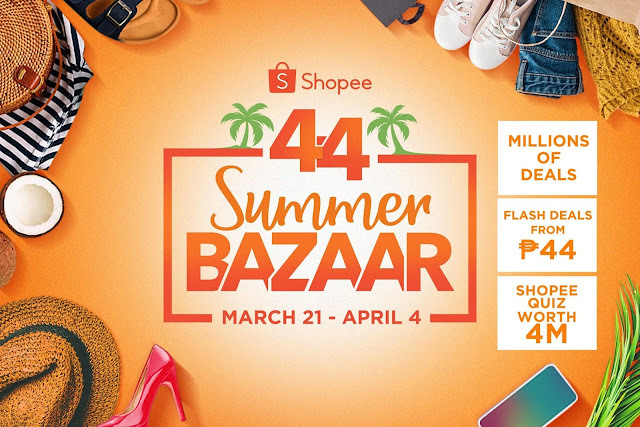 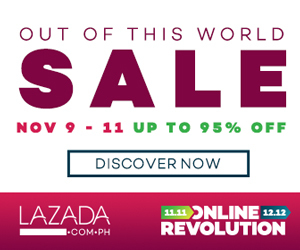 In addition, users can enjoy over 1 million deals, flash deals from ₱44 from top brands and retailers, and ₱4 million in Shopee coins on Shopee Quiz.